Fast, easy, fresh and mouth-watering meals can be completed in a few minutes using a wok. This centuries-old method of stir-frying meats, poultry, fish and vegetables can be a healthier way to cook if you limit the sodium, fats and oils. Woks are available for all methods of cooking. If you’re concerned about finding a good wok for an induction cooktop you’ll find more information here. Why are woks so popular for healthy cooking at home? For the price, this cookbook gives you delicious meals and will help you eat healthy. Woks are popular because nutrient-rich vegetables can be cooked to perfection. There is no need to overcook your veggies and risk losing the color, flavor and nutrients which get thrown away in excess water when you boil or steam. Stir fried vegetables make a perfect accompaniment to meats that are also stir-fried in the wok. You can add several sauces to the vegetables or the meat for flavor but if you’re trying to cut down on calories it is easy to use herbs and spices to add flavor to your stir fry. Herbs and spices also let you increase the nutritional content of you meal if you want to eat healthy. If you know the basics to using a wok you will get a lot of satisfaction from being able to prepare a variety of dishes. Preparing food and cooking in a wok is one of the easiest methods of cooking. First, you’ll chop the meat and vegetables and then set the wok to medium-high heat with oil. If you want to cut the oil out of your diet then simply add vegetable broth or water. This is a great way to cut out fat when cooking. Move the oil, broth or water around the wok to coat it and add seasonings like onion, garlic and ginger. Very soon after the seasonings you need to add the meat, fish or poultry and move or toss it around to sear in the juices. The vegetables come last. Add them in order of the most dense and toughest to cook first, then the more fragile ones that merely need to wilt or par cook. If you’re looking for more ideas on how to use a wok at home to eat healthier meals try this. A way to add extra protein and nutrients is to throw in some cashews or pine nuts for extra texture. In just a few minutes, you’ll have a delicious meal, perfect for serving over rice or quinoa. If you’re interested in making the healthiest and tastiest rice you’ve ever tried, you may need an induction rice cooker (see here for more details). If you’re not vegetarian try introducing meat-free Mondays in your household. The easiest and fastest way to make a dinner packed full of vegetables and flavor is using a wok. Meat-free meals with loads of vegetables and a variety of seasonings can be a week day meal that the entire family looks forward to. Do I need to follow the recipes exactly? The beauty of using a wok is that you can use pretty much any ingredients you have sitting in the fridge. Use up all those forgotten vegetables sitting in the bottom of your fridge, but make them shine! You can make forgotten vegetables delicious by starting with onion and garlic. Then add some of your favorite dried spices from the kitchen pantry. Try adding turmeric for extra antioxidants. If you like cumin you could whip up a middle eastern flavored dish. For spicy food, add some hot peppers. If you’re wondering how to use a wok for different flavors, your choice is unlimited. You may prefer Mediterranean flavors so grab some Italian dried herbs like basil, oregano and parsley. Woks don’t need to be limited to Asian flavors. Experiment and go with what you and your family prefer. Just remember, if you want to keep it healthy, stick with the herbs and spices rather than store bought processed sauces which are often full of sugar and salt in high quantities. Also, if you are mixing up your flavors you might need to reconsider whether you should use acidic ingredients in your cast iron wok. Cast iron woks usually need to be seasoned before use. This is where a patina is built up on the surface of the wok. It coats it and stops it from rusting. A lot of cooks who have used woks for years swear by their seasoned wok for better flavor. However, if you use foods like tomatoes or lemon juice in your cooking these may ruin the surface of your wok. If you know you’ll use these ingredients it might be best to buy a stainless steel wok or a good quality non-stick wok. 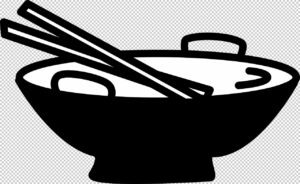 A lot of home cooks have used a wok in the past but once they turn to healthy cooking they forget about wok cooking. For some people it has never crossed their mind to use their wok for a healthier evening meal. It’s time to rethink how to use a wok for healthy meals. Rethink your options. You’ll feel like a certified chef cooking with a wok and your meals will taste like it too. There are a multitude of recipes online from which you can choose. And just as many choices for the type of wok which will suit you best. In addition to the traditional cast iron wok or today’s modern stainless steel flat-bottomed wok, there are electric woks (see some from Amazon below). Electric woks come with features such as high domed lids, rapid heat and temperature control. They also offer nonstick coatings and cool-to-touch base and handles. Some even come with extra accessories like tempura racks, turner/spatulas, ladles, chopsticks and recipe books. So, stop wondering how to use a wok for healthier meals and start using it tonight. Stir-frying is a healthy option compared to cooking with heavy sauces or frying in oil for extra calories. You can actually use any pan to stir-fry meats and veggies. But a wok ensures that your food is cooked evenly and fast. It’s also easier to move the food around while it’s cooking in a wok. If you’re trying to eat healthy, reconsider how you use your wok. Woks are great additions to your kitchen and come in a variety of types and prices. You may want to get more than one, for different purposes. Check out online sales and try your hand at cooking with a wok to make meals quickly and healthier than ever.